We help GreenFolders users stand out during Closing. 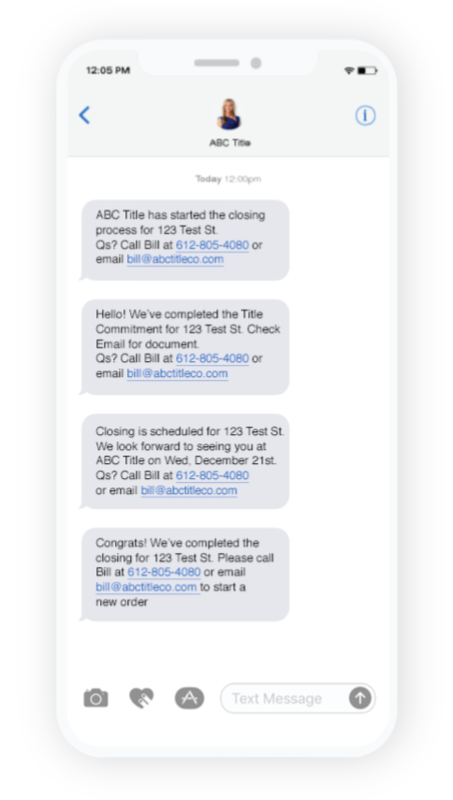 Send automated Text Messages, beautiful Email, & the Pizza Tracker for Title™ to help drive your business forward & save time (60-90 min / file). 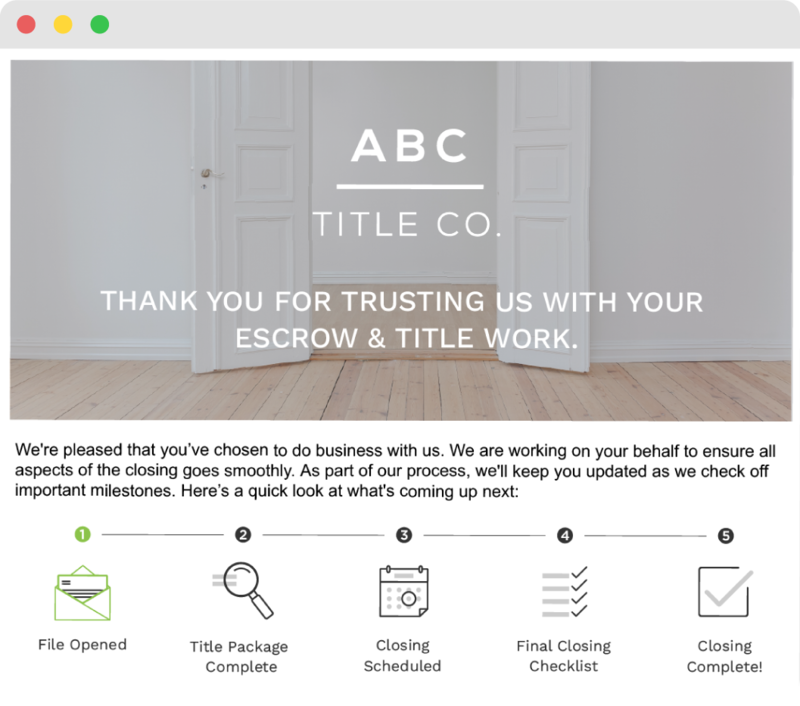 Send customized emails that feature your branding & Closing Pizza Tracker for Title™ Timeline. Integration with GreenFolders means zero double data entry, and a seamless transition from GreenFolders to CloseSimple. Watch your team spend less time doing the busywork of emails and project management, and more time on what makes your business money. 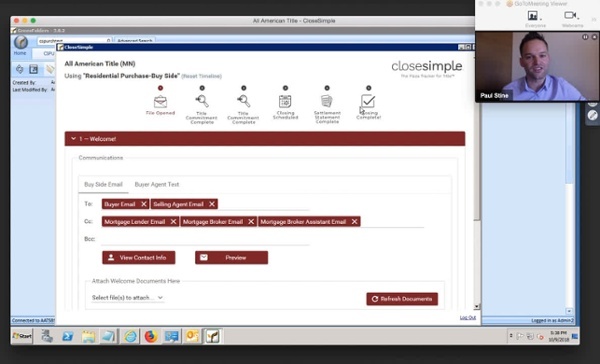 Contact us to chat about bringing CloseSimple to your GreenFolders.